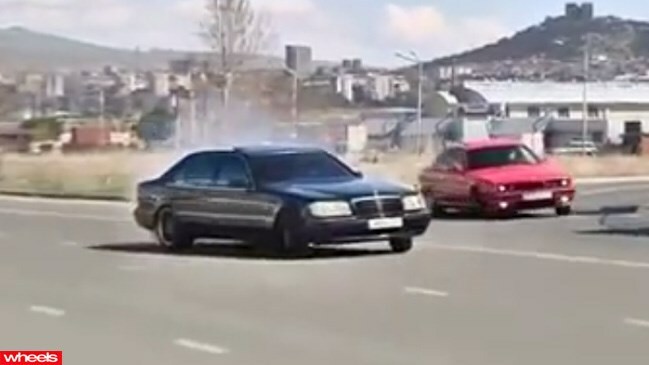 A group of ex-Soviet stunt drivers are taking the law into their own hands in a bid to get their viral internet videos noticed by Hollywood. The group, known as Need For Drive, are taking extreme risks on public roads in Georgia to film Youtube videos reminiscent of classic Hollywood car chases. Driving in peak hour traffic, the videos show drivers threading through traffic at high speeds, crossing onto the wrong side of the road, and ‘drifting’ through busy intersections. Such is the group’s popularity, one video has collected 2.6 million views in the past two months. The group’s leader, Giorgi Tevzadze, says he hopes the videos will help attract the attention of Hollywood filmmakers. "If we get noticed by from someone from Hollywood, we will be able to offer a variety of scenarios connected with street racing and to perform extreme maneouvres," he told UK paper the Daily Mail. "Those may include chasing a vehicle or racing with two or more cars in traffic. Our team can perform any scenario connected with vehicles while driving at the highest possible level." Unsurprisingly, Mr Tevzadze revealed he is regularly fined by traffic police, but still has a valid driving licence.